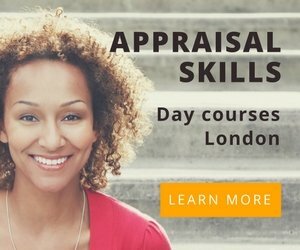 Online Appraisal Training – Is it right for your organisation? Learning on-line can be a great way to deliver your Performance Appraisal training to a large number of employees, especially if you have staff deployed over a number of different offices or countries. Our online appraisal training can be used in conjunction with face to face sessions or as a stand alone solution. All our online appraisal training is bespoke, tailored and branded to your organisation. Each solution can be supplemented with ‘key notes’ in handy downloadable formats. Our asynchronous training solutions can be translated into the languages of your choice. How it works – after our initial discussions, we usually send you a needs analysis questionnaire to complete. This will provide us with enough information to present some ideas and a quotation. We can provide a series of virtual classroom sessions with a ‘live’ instructor to encourage interaction and discussion. Typically each session or module lasts around 45 minutes. We will develop the modules around your organisation’s requirements. For example, you may wish to include modules on objective setting, KPI’s, competencies, handling difficult conversations or ensuring that feedback is a continuous process. Once we have finished our initial development and you are happy with the content, the classroom sessions can be run at times to suit your employees. Our pre-recorded classroom sessions are our most popular online learning solution. Once the content is developed and the modules recorded they can be viewed by your staff at any time from virtually any device. They can also be translated into multiple languages. The advantage of our pre-recorded training sessions is that it gives you the ability to simultaneously reach an unlimited number of employees. There is uniformity of content and only a one time cost of production. We produce engaging, focused videos (typically 4 to 5 mins long) covering the key aspects of performance appraisal training. These are great to use as ‘handy reminders’ and ‘quick tips’ to supplement face to face training. We can create a custom online appraisal training course for both your appraisers and appraisees. Typically, the content is divided into easy to follow modules which can be watched together or individually. Employees can learn at their own pace and test their knowledge at the end of each module.